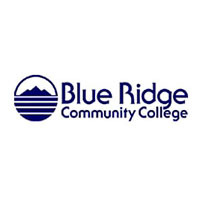 Whether you’re new to management or a seasoned leader, take your skills to the next level with these certificate programs at Blue Ridge Community College (BRCC). Each has been carefully designed to help you transfer new skills directly to the workplace. Businesses typically make front-line promotions based on the potential of prospective managers, often without providing the resources and training needed to reach that potential and provide effective management. Learn how to create effective relationships, build team unity, develop and set expectations, measure performance and obtain developed goals. This course is appropriate for new managers, aspiring managers, and motivated individuals in any organization. *Approved for 8 hours of HRCI general credit. Designed to develop highly functioning leadership skills in managers who desire to promote growth within an organization, this course covers: how to develop and effectively communicate your leadership style; lead people of varying personality types; promote committee and project team development; and establish a common vision and mission. You’ll also learn how to develop an organizational value statement and establish key performance indicators. Instructor Brian McReynolds, PE, is back by popular demand in these two practical certificate programs. McReynolds holds a degree in Civil Engineering from Virginia Military Institute and is a licensed engineer in the State of Virginia. Since 1996, he has served as City Engineer and Director of Public Works for a local government agency. In addition, he consults with private businesses on reorganization and workforce development issues. All classes meet from 6 to 8 pm in the BRCC Plecker Center.